The latest company to possibly jump on the Blu-ray bandwagon is none other than Microsoft itself, the backers of the rival HD-DVD format. 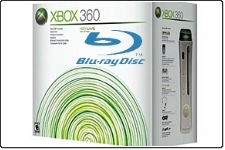 According to BetaNews, Albert Penello, director for global marketing at Microsoft, revealed that while his company will continue to back the HD-DVD for the 360, that because of the external drive capability of the Xbox, that it would be also possible to ship a Blu-ray drive for the game machine if HD-DVD didn't survive the battle against Blu-ray. However, Penello also stated that the numbers don't really add up as far as which next gen DVD format is leading. While more movie studios are jumping ship to Blu-ray, he noted that consumers are still choosing the HD-DVD format over the Sony format. "Consumers are choosing HD DVD, but Hollywood isn't listening. While HD DVD has been trying to sell the format to consumers, Sony has focused on selling the Blu-ray brand and company." But in spite of the huge blow to HD-DVD with the recent announcement of Warner going over to the other camp, Penello stated firmly that the Microsoft backed format would not be going away. "Until Toshiba goes out of business, this war is not over."